We want Civilsdaily to grow on for a really long, long time to come. We are blessed to have such an amazing community of students who pool in their best of resources and advisories and keep in constant touch with our growth. As the "behind the scene" creators and sustainers of this initiative, we are humbled beyond our imagination. Our state of the art newscards and innovative course material should always be available for FREE no matter who you are and where you read from. So, here is a call to extend your ever constant support. If you liked reading from us - contribute and help us grow! 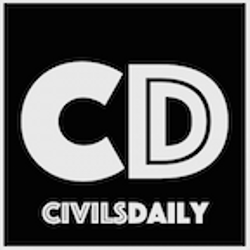 Civilsdaily was launched in March 2015 with a dedicated focus on making daily current affairs comprehensive and yet highly enjoyable. Since then, we have created content that empowers you no matter what your stage of preparation be. We have stayed close to our reader base and upgraded our app, website, content spread to suit your preparation style. With the introduction of Note4Students and Back2Basics on every newscard - we have pushed the limits of editorial analysis and we are humbled by your love and support throughout your journey.